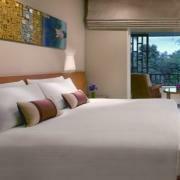 The luxurious Hyatt Regency Hotel in Hua Hin is currently offering two promotions. Guests who book 2 nights will receive a 50% discount on the second night until July 31, 3012. Guests who book 3 nights will receive the 4th night free until September 8, 2012. Full rates for the payable nights start from THB5,500 (USD177) for a King Room. A 10% service charge and 7% taxes are additional. The discount will be applied at check-out. The “Free Night” promotion also includes late check-out until 2pm. 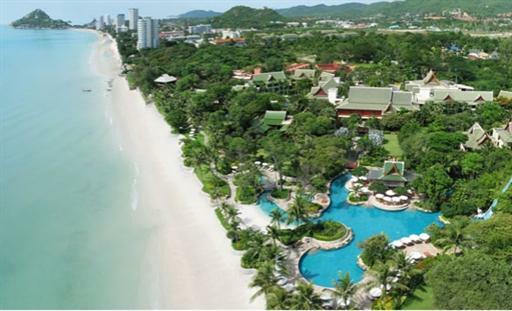 The Hyatt Hua Hin occupies a prime stretch of beachfront along the Gulf of Thailand. The 205 guestrooms and suites are the height of luxury with wooden furnishings, LCD TV with international channels, work desk with broadband internet, elegant bathroom, and private balcony. Guests can wine and dine at one of the Hyatt’s four restaurants or enjoy cocktails and live music until the wee hours at the lounge. Leisure facilities include a freeform swimming pool, water sports, spa, and easy access to golf. Visit http://huahin.regency.hyatt.com/ for more information or to make an online booking. The hotel can be contacted at (66) 3 252 1234 or huahin.regency@hyatt.com.